*Oprah Winfrey filled in for “Good Morning America” anchor Robin Roberts today, fulfilling a “lifelong dream” — years after falling short in her quest to substitute for then-anchor Joan London. “I can’t wait to get out there and sit at the desk,” she said from backstage. The show started with anchor George Stephanopoulos and his wife Ali Wentworth picking Oprah up to bring her to the set. Wentworth was still in her pajamas and Oprah had curlers in her hair as they picked through the garbage in the back of Stephanopoulos’ car to make room. Oprah even had her first photobomb experience — as if she could ever go unnoticed — as she snuck behind an audience member backstage. 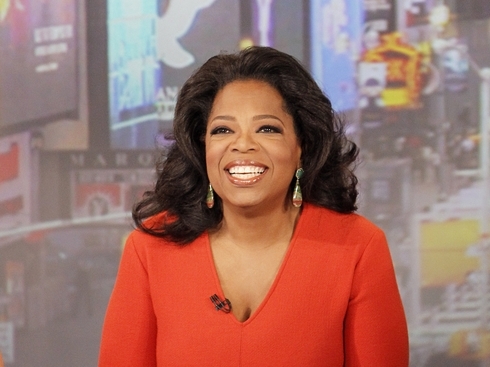 “I loved it so much I just want to go around New York all day and photobomb,” Oprah said. Joy Behar and Sam Champion also provide plenty of entertainment during the “Twitterpiece Theater” where they acted out some tweets from Oprah’s fans, helping her achieve another dream to be on Broadway – so to speak.